There was Spanish gold at the foot of the Malvern Hills as a re-creation of an Andalusian village street scooped the top prizes at a leading Royal Horticultural Society show. 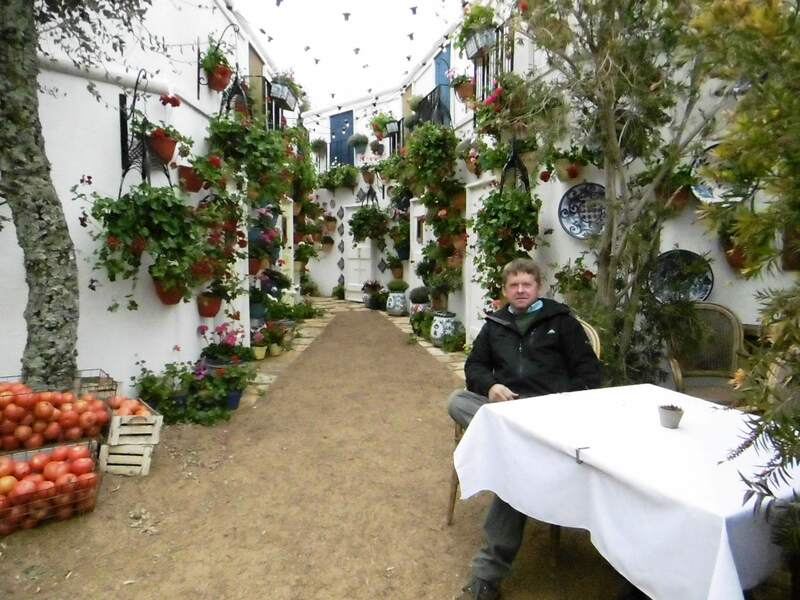 As well as being awarded a gold medal An Andalusian Moment took the title of Best Show Garden at the RHS Malvern Spring Festival. 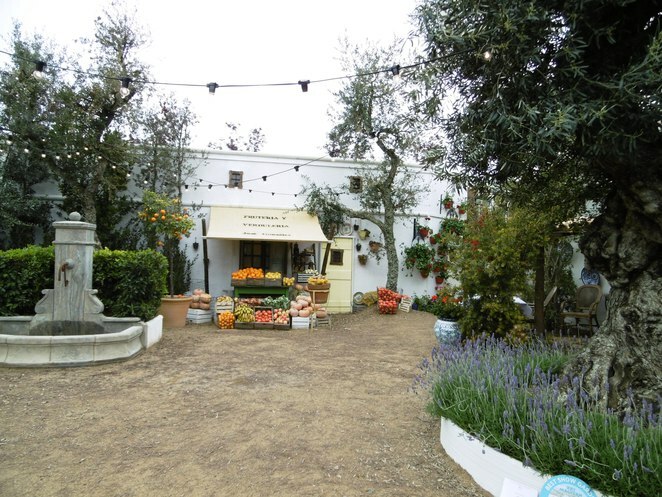 Featuring whitewashed walls, a cafe and a fruit and vegetable shop, the exhibit is bordered by olive trees, mature pines and cork oaks. Colourful pelargoniums displayed outside the villagers' homes add to the illusion that the visitor is in southern Spain, rather than the Worcestershire countryside. The garden was designed by Jason Hales and J.Y. Baril from Worcestershire-based olive tree growers and suppliers Villaggio Verde. They had previously won two gold medals at the Malvern show, at the Three Counties showground overlooked by the Malvern Hills, but this was their first Best in Show. Previous gold medals were won by last year's En Su Casa en la Playa (At Home on the Beach) and Reposer Vos Roues (Rest Your Wheels) in 2013. The other show garden to win gold at this year's festival, which is celebrating its 30th anniversary, was The Organ Donation Garden, The Gift of Life. Designed by Ruth Gwynn in association with the Worcester Acute Hospital Organ Donation Committee, the garden encourages visitors to consider signing up to the organ donation register. Two paths circumnavigate the garden. The 'Yes' path proceeds to the goal of the ultimate gift, represented by the garden pavilion. The narrow 'no' path becomes increasingly enclosed and leads to two doors, one exiting the garden, the other leading to the pavilion. Two gold medals were awarded in the Festival Gardens category which challenges designers to embrace new technologies, trends or materials. 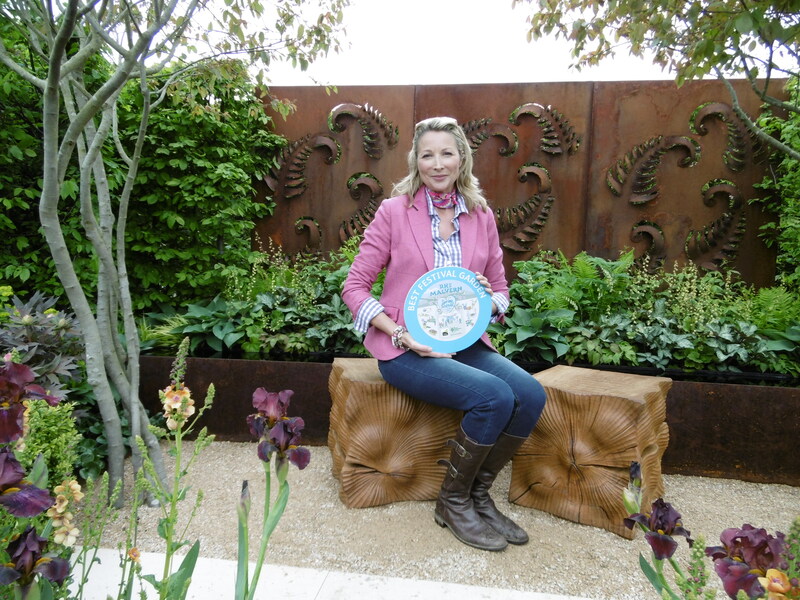 The top award went to Kate Durr for her Constraining Nature garden. The generous planting is constrained by a wall of steel panels that capture the intricate shape of fern fronds. Perennial plants and topiary bushes contrast with Ucare tulips, launched at the show by cancer charity Ucare. 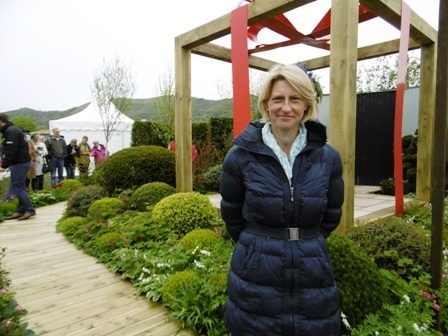 Kate is a new designer who was only seven weeks into a 12 month garden design course at the Cotswold Gardening School when she won the opportunity to exhibit at Malvern. 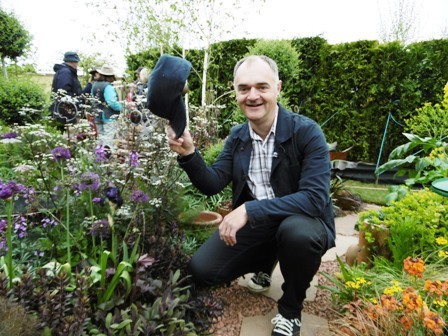 The second Festival Garden gold medal was awarded to Gary Bristow for his As Mad As A Hatter garden, sponsored by Christys' Hats. Inspired by the hatting history of the Gloucestershire village of Frampton Cotterell, Gary's garden features woad, weld, teasel and madder, plants traditionally used in the creation of felt hats. Local pennant stone, an original Frampton Cotterell copper hat felting bath, wooden hat moulds and stained glass are also used alongside perennials, herbs and vegetables. 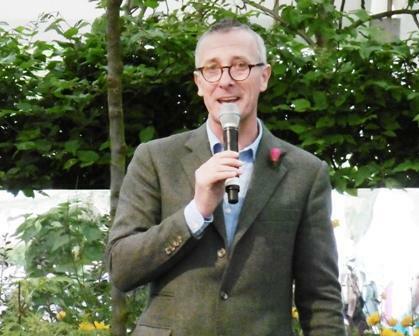 This year's Malvern Autumn Festival also included a huge floral marquee, more than 75 plant nurseries, talks and demonstrations by the likes of Joe Swift, Gregg Wallace and James Alexander-Sinclair and floral art, crafts and local food. The 2016 festival takes place May 5 – 8. Why? A Spring celebration of gardening, food, arts and crafts.